For the Teen Crowd!! This is a Mix of Brick City Club and Baltimore club remix. 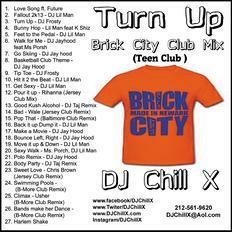 Contains the teens favorite dance songs by DJ Lil Man, Frosty, DJ Taj, Jay Hood.